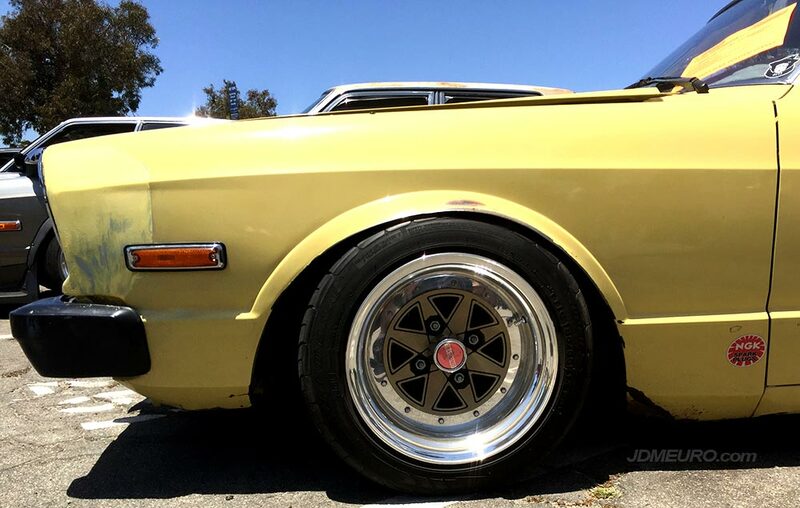 The Uniroyal Spoke by Enkei are rare JDM Wheels which have a nice distict look to them. 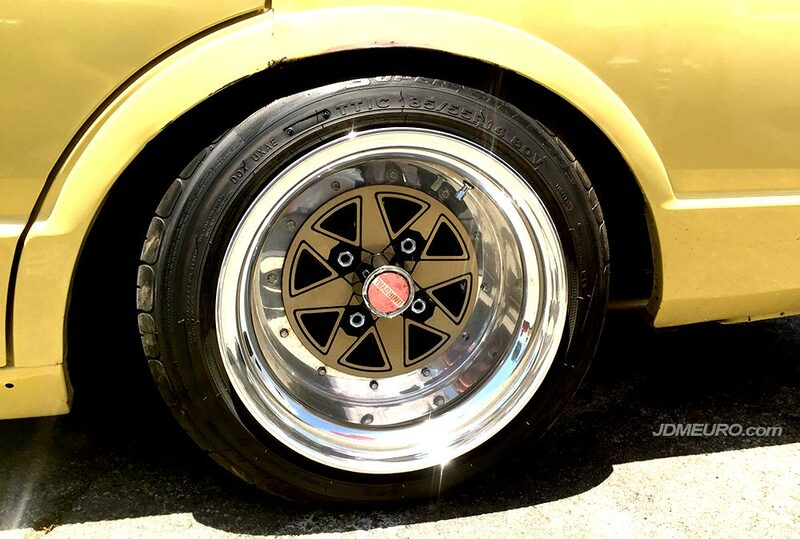 The Enkei Uniroyal Spoke are two piece wheels which are made in Japan and have a nice 8 spoke face with a nice outline detail around the features. 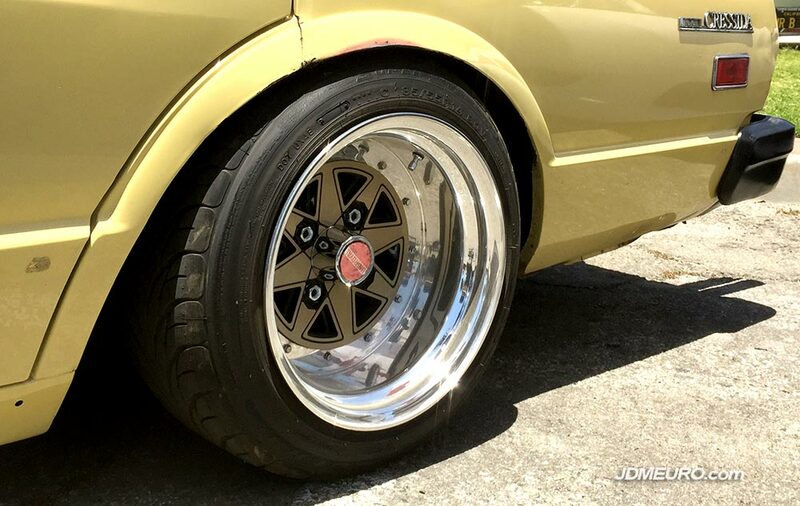 This set of Enkei Uniroyal Spoke has been nicely resized by Nifty Built Wheels in Riverside, CA. 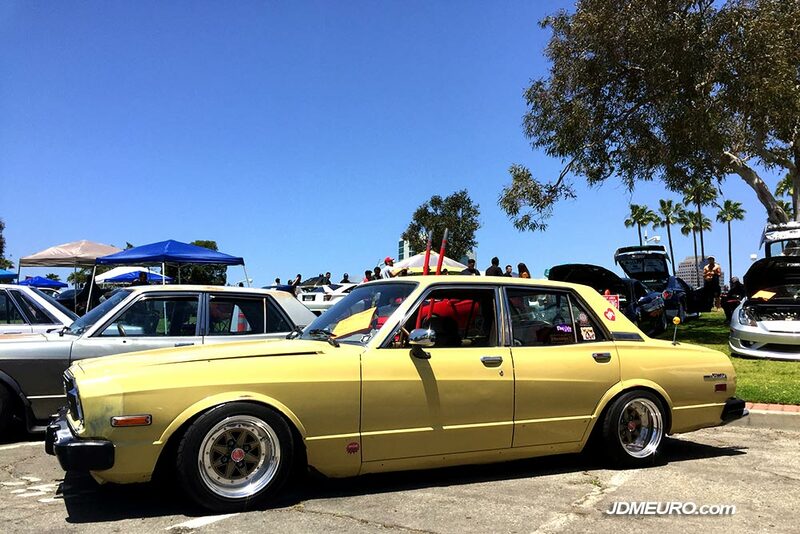 Pictured here are the Uniroyal Spoke by Enkei on a MX32 Toyota Cressida at the at the Toyotafest 2018 in Long Beach, CA. 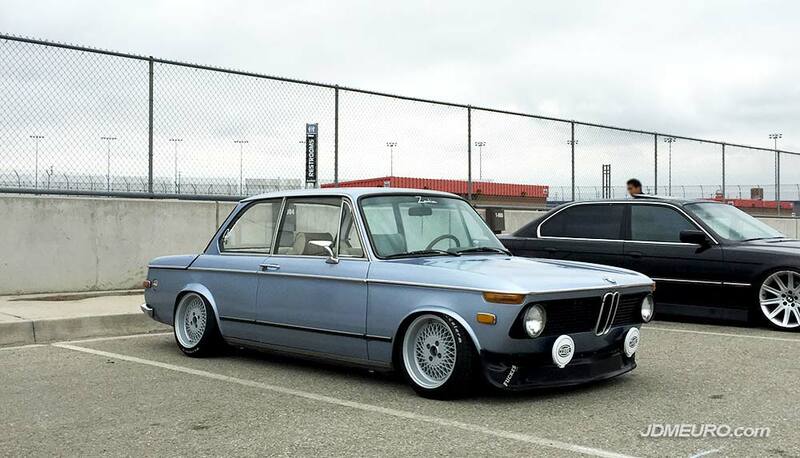 The Enkei M5F Aero Bortex are practically like having 5 sets of JDM Wheels in one. 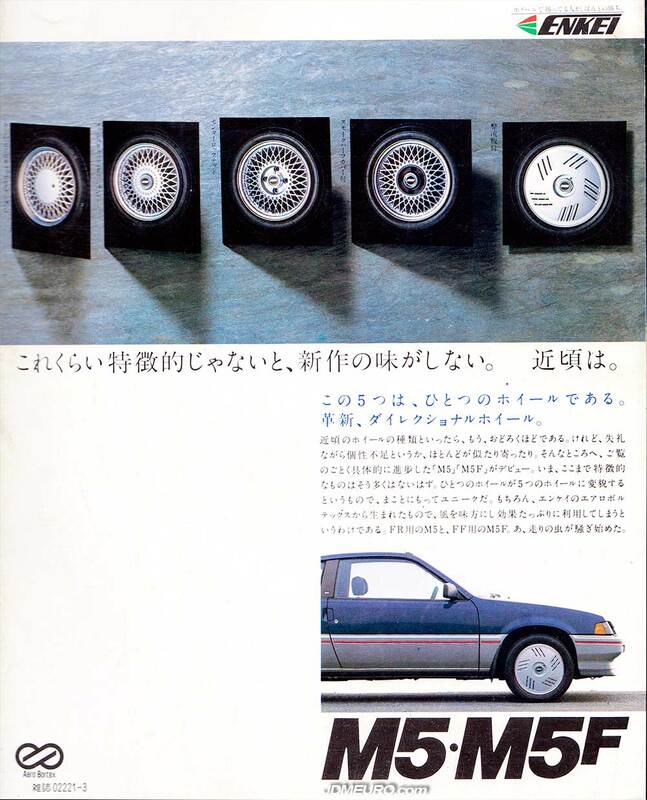 The base wheel of the Enkei M5F Aero Bortex has a similar look to the more popular Enkei 92, but with different covering options. From left to right: a flat cap option, a hex cap center lock style option, a dust cap center cap style option, a tinted clear poly-carbonate option, and lastly a full aero turbofan style option. 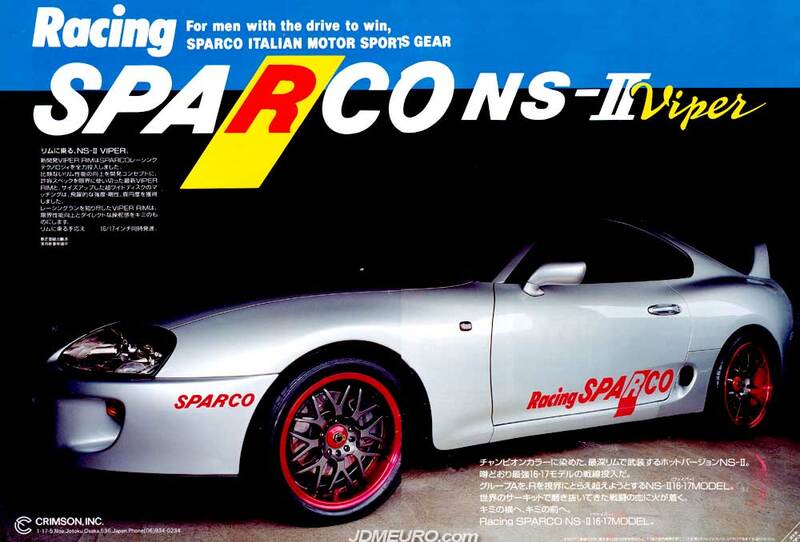 The Racing Sparco NS-II Viper were one of the most popular JDM Wheels in the late 90’s. The Racing Sparco NS-II Viper feature 2 piece welded construction, and a very popular mesh design. The Racing Sparco NS-II Viper were produced by Crimson Inc but manufactured by Enkei Wheels in Japan. Pictured are the Racing Sparco NS-II Viper mounted on a Toyota Supra JZA80. 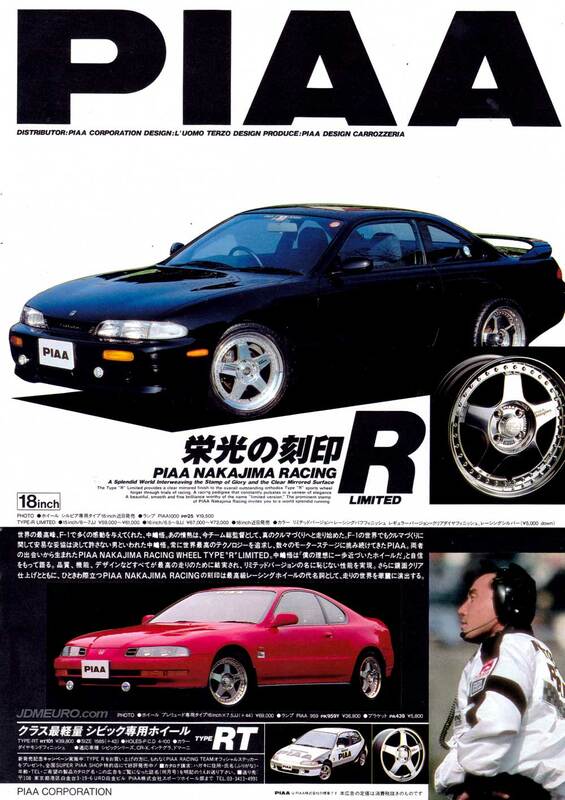 The PIAA Nakajima Racing Type R Limited are JDM Wheels made in Japan by Enkei Wheels. 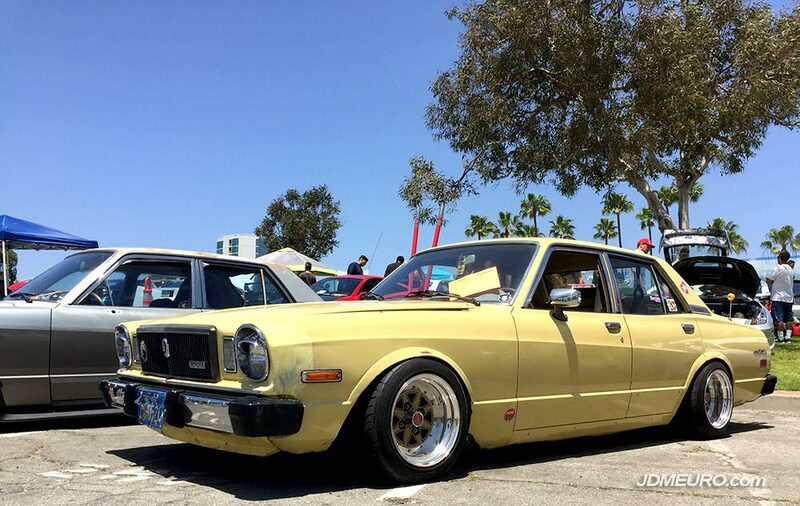 Most noted for their line of premium lighting, PIAA also has a nice line of JDM Wheels. The PIAA Nakajima Racing Type R Limited feature a classic 5 spoke design, and also feature 2 piece construction. Pictured are the PIAA Nakajima Racing Type R Limited mounted on a s14 Nissan Silvia, and also lower on a Honda Prelude. also shown are the PIAA Nakajima Racing Type RT on a EG Honda Civic. 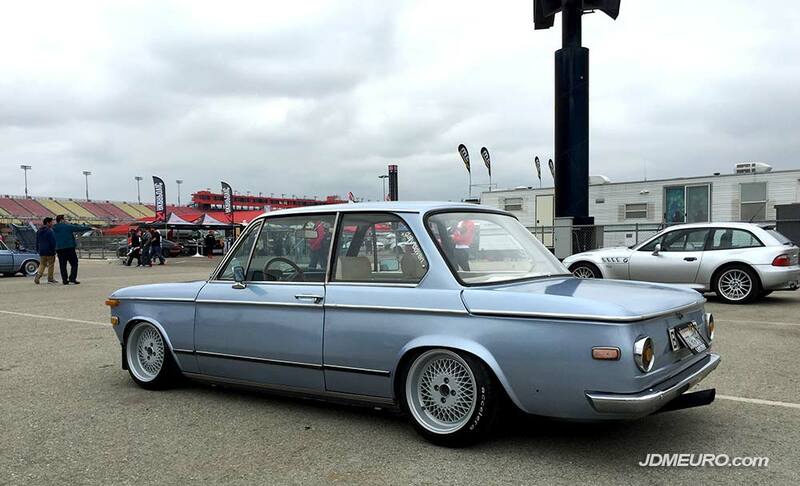 The Enkei GTV G’SPEC are JDM Wheels that we actually got here in the states as the Stillen GTV. The Enkei GTV G’SPEC / Stillen GTV feature 2 piece construction with the 5 spoke faces bolted to aluminum barrels. 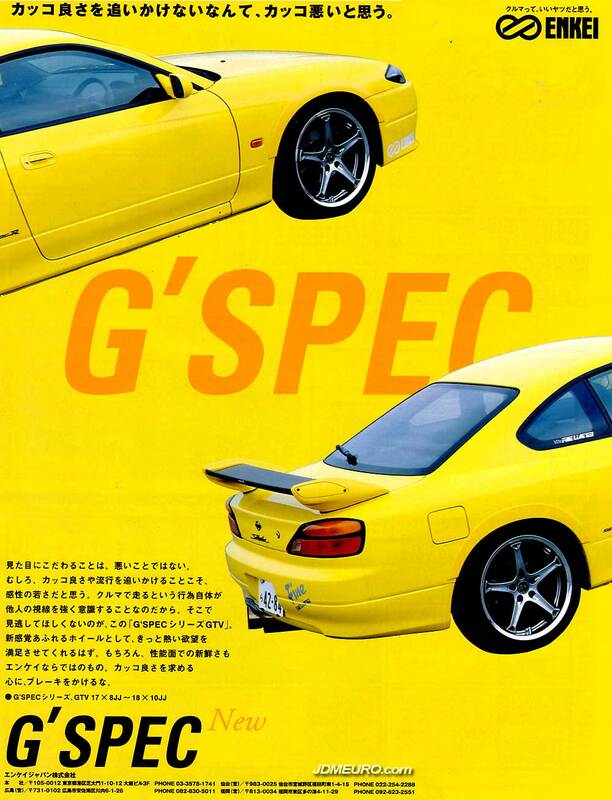 The Enkei GTV G’SPEC / Stillen GTV were available in sizes from 17×8 to 18×10.